At Pinner Wood we are proud to have Pabulum as our catering provider. Pabulum’s vision is to ensure that all children can enjoy tasty, healthy primary school meals every day, and embrace the experience of learning about the benefits of fresh, seasonal ingredients. 94% of the food is freshly prepared in the large Pinner Wood kitchen and 75% of the food is locally British sourced. We have an executive Chef on site, who along with his team, prepares the meals for the pupils each day. You can view the Menu for the week by clicking on the following link below. Pabulum provides a ‘Dining-Experience.’. Our dining rooms are set up to reflect a restaurant experience. This includes table cloths, bread baskets and napkins on the tables. Healthy eating in primary schools is important to us, so we ensure children have a fantastic range of options for their main meal every day, including a vegetarian equivalent, with fresh vegetables and a Halal option. If they prefer something a little lighter, there’s fresh pasta and sauce, or jacket potatoes with a choice of fillings. They can also choose from eight different salads – from simple lettuce and tomato to more adventurous options such as kale and mango. To accompany their preferred dish, fresh wholemeal bread is baked on site every day, and a range of flavoured breads is also provided, these change each week. And for dessert, children can enjoy freshly cut seasonal fruit, homemade yoghurt or mousse, and a seasonal pudding served with fresh custard. To find out more about Pabulum, their suppliers or company initiatives then please follow them on Twitter (@Pabulum-Catering), or check out their website www.pabulum-catering.co.uk for the latest blogs and news stories, alternatively you can call them on 01252 819991. We appreciate the support that parents and carers give us in providing healthy packed lunches to be eaten in school. 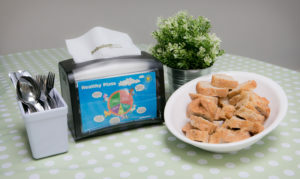 We ask parents not to include nuts or any nut products in their children’s lunchboxes as some children in the school are allergic to them, even touch or smell can make them very ill.
Eg. Cheese sandwich, pasta salad with tuna, ham roll, rice salad with meat or fish, egg and salad sandwich, tortilla wrap with chicken and vegetables, bean and couscous salad, cheese and crackers. Eg. 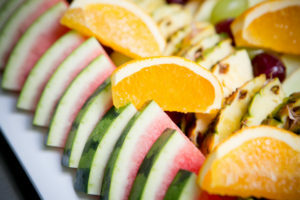 Fresh fruit, frozen fruit, fruit salads, fruit in natural juice, fruit yogurts, fromage frais, carrot sticks, celery sticks, cherry tomatoes etc. Still water (this can be plain, flavoured or fruit juice but not squash). Eg. Small packet of crisps or sweet biscuit. Please continue to support the school’s commitment to healthy eating by NOT including the following items in your child’s lunch box – mousses and puddings, fizzy drinks, squashes, chocolate and sweets.